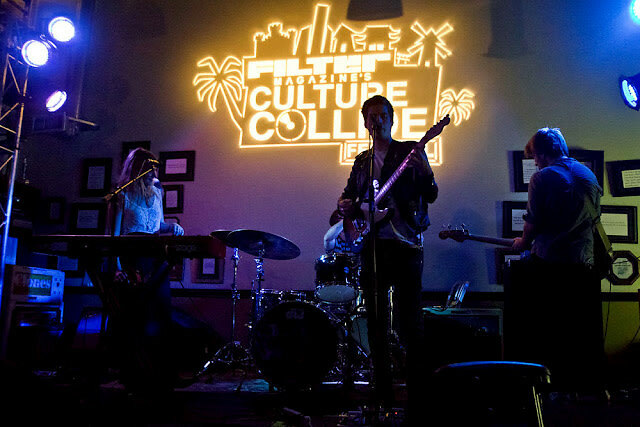 Today's Giveaway: A Pair of FILTER Culture Collide Festival Tickets! FILTER Magazine's third annual Culture Collide Festival is officially upon us with last night's rousing kick-off throwdown (check out our photos) leading us into the weekend festivities. With over 65 artists from over 25 countries to perform from October 4th-7th, this is going to be a crazy event you won't want to miss! Lucky for you, we still have a pair of all-access Culture Collide Festival wristbands to give away so you can get in on the action! Because we love you, we're making it easy to enter to win a pair of all-access wristbands to this awesome annual music fest! We already gave a pair of tickets away yesterday but still have a pair left up for grabs. All you have to do to enter for a chance to win this pair of all-access wristbands to the FILTER Culture Collide Festival (courtesy of our good friends at FILTER), which are good for the entire festival which runs from the October 4th-7th, is follow us on Twitter if you don't already and tweet @gofgLA telling us why you want to go AND/OR go to our Facebook page and tag yourself in this photo and comment on it telling us why you want the tickets! (Doing both ups your chances). We'll be selecting our winner at 12pm PST TODAY, October 4th who will get two all-access wristbands to the Culture Collide shows comprising the festival. Oh, and make sure you "Like" and follow us before entering. Let's just say that will dramatically improve your chances of winning. Stay tuned to Guest of a Guest L.A. and the @GofGLA Twitter for amazing giveaways just like this one!